The Hampton Bays resident is no stranger to performance awards. Locally, he’s already won the “People’s Choice” category of Southampton Youth Bureau’s Hamptons Idol competition, a Teeny for his portrayal of Gomez Addams in Hampton Bays High School’s production of “The Addams Family,” and the hearts of many fans. Christiaan, who works at the Westhampton Beach Performing Arts Center and at WBEA 101.7 The Beach radio in Water Mill, has been auditioning to be on the “Idol” stage since he was 12 years old. Now 20, the performer can currently be heard on Spotify and Apple Music, as well as on the nationally televised juggernaut of a singing talent show. L’Chaim to East Hampton’s own Sheldon Harnick, whose nine-time Tony Award-winning “Fiddler on the Roof” has been revived yet again to thunderous applause. Now playing on Broadway entirely in Yiddish at Stage 42, this stirring production of the classic — based on Sholem Aleichem’s classic Yiddish stories, with music by Jerry Bock, book by Joseph Stein and lyrics by Harnick — is directed by Oscar and Tony Award®-winner Joel Grey and with Yiddish translation by Shraga Friedman. Big news for Martha lovers. The Martha Stewart brand recently announced that it is organizing all of the domestic doyenne’s many products within four lifestyle verticals, which are inspired by her four homes. So yes, there will be a Hamptons vertical. It’ll be called “Lily Pond,” and it will feature all of her breezy coastal-inspired products. The other three verticals will be: Bedford, which will represent her Westchester country farm; Perry Street, for her West Village apartment; and Skylands, representing Martha’s woodland retreat on Mt. Desert in Maine. If it’s boffo box office full of South Forkers that you’re looking for, then head to the multiplex and get in line for “Avengers: Endgame.” Based on the Marvel comics created by late East End resident Stan Lee, the film stars Hamptons homeowners Scarlett Johansson, Robert Downey Jr. and Gwyneth Paltrow, and East End visitors Brie Larson and Elizabeth Olsen. Despite a short-lived internet hoax, it appears that our Hugh Jackman will not be making even a brief cameo appearance in this one. You can’t win, or star in, them all. Still on the subject of films and actors, Alexander Skarsgård, might not live here but we always have room in our hearts for this actor, whom we were fortunate enough to interview oh so many years ago when he came out for the Hamptons International Film Festival as the Breakthrough Performer for “Melancholia.” His most recent movie, “The Hummingbird Project,” just came out and it looks like another really interesting role choice. This time the former “True Blood” lead stars as a (balding) high frequency trader who is trying to build a straight fiber-optic cable line built between Kansas and New Jersey. Also starring Jesse Eisenberg and Salma Hayek, this thriller by Kim Nguyen looks like something good. 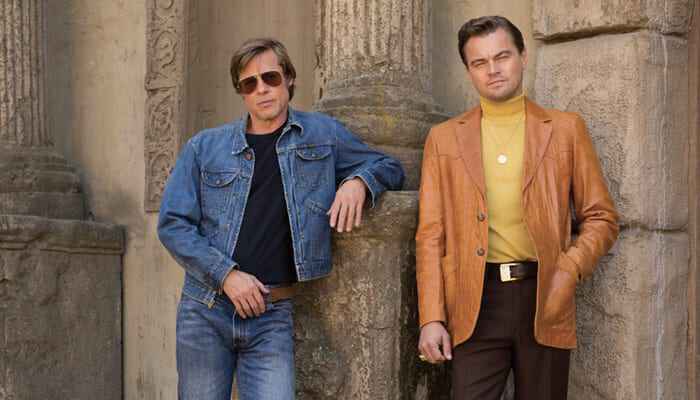 Lastly, we might be jumping the gun here but we can’t help being super excited for Quentin Tarantino’s “Once Upon a Time in Hollywood,” which is coming out in theatres this summer. The multiple-storyline movie, starring Hampton habitué Leonardo DiCaprio alongside Brad Pitt and Margo Robbie, tells the tale of a washed up TV star and his longtime stunt double. The plot most definitely borrows from real-life events from the late 1960s. There are a lot of people portraying Manson Family characters in it. And many familiar faces to the East End are featured in the film, including Damien Lewis (playing Steve McQueen), Bruce Dern, Scoot McNairy and Lena Dunham. It is, sadly, also the last film to showcase the work of Luke Perry, who died in March.